recruitment 2017 are mentioned below. 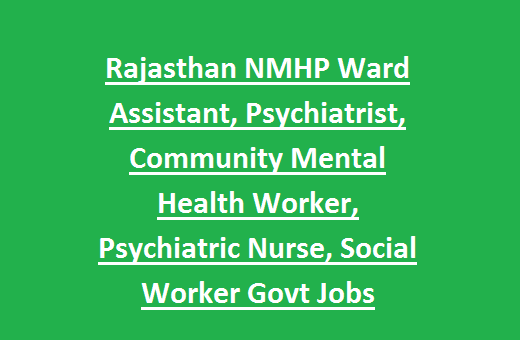 Click here to see the official notice of Raj Swasthya NMHP Recruitment. Last date to send receipt of application: 10- 03- 2017.
recognized Institution with 02 years experience as a specialist in a hospital. PG Diploma in Psychiatric nursing recognized by NCI is Desirable. based on candidate performance in written Test and Personal Interview. posts is Rs. 500/- through Demand Draft.